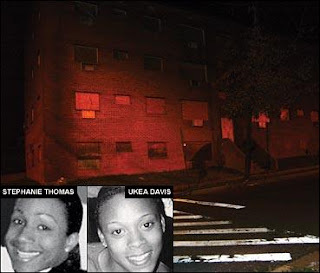 Five years ago today at the same Southeast DC intersection where transsistah Tyra Hunter was involved in the fateful auto accident that took her life, two transsistahs named Stephanie Thomas and Ukea Davis were brutally murdered. 19 year old Stephanie and 18 year old Ukea met at a SMYAL (Sexual Minority Youth Assistance League) meeting and became best friends. They were inseparable to the point where they helped each other transition and lived in an apartment together. And unfortunately, they died together as well. 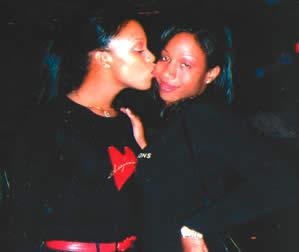 At 11:30 PM on August 12, 2002 the girls told friends they were headed to a nearby gas station to pick up cigarettes. No one's certain whether they actually accomplished their stated mission and were in the process of returning or had even left. At around 3 AM the girls were sitting in Thomas' Camry at a stop sign at 50th and C Streets. Suddenly a car rolled up next to them and sprayed them with semi automatic gunfire. According to an eyewitness, another car approached the intersection after the shooting and the driver got out to ascertain what had happened. 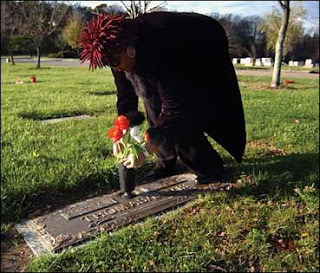 Ukea Davis was already dead and the driver nudged Stephanie to see if by some miracle she was alive. She acknowledged she was by moaning as he touched her shoulder. But unfortunately the good Samaritan was forced to flee when the shooters came back to finish their grisly work. The shooter got out of the car and peppered the mortally wounded teens with more gunfire. By the time rescue workers reached the bloodsoaked car Stephanie was also dead. She and Ukea had taken ten rounds each. Even in a city with a high murder rate such as Washington DC, the execution style killings of two transgender teenagers rocked the city and the DC transgender community. Their joint funeral was packed. The people who spoke at the vigil held for them included then mayor Anthony Williams and DC congressional Del. Eleanor Holmes Norton. As of this writing the perpetrators in the murders of Stephanie Thomas and Ukea Davis still haven't been brought to justice. To make things worse just four days after the vigil marking the one year anniversary of the killings Washington underwent a series of transgender murders. 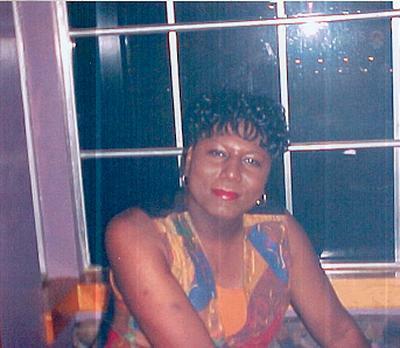 In the span of eight days two transwomen were killed and another survived a shooting near the US capitol building. The sad part about the Thomas-Davis killing was the brutality of it. While I'm happy that in the short time they had on the planet they got to transition, sometimes it shocks me just how visceral the hatred is toward transgender people. It saddens me to think about the fact that Stephanie and Ukea didn't get a chance to unleash whatever potential their lives held for them. It angers me to think that someone hated or felt so threatened by Stephanie and Ukea just openly living their lives that they picked up a gun and killed them. Thank you for posting this, Monica. kepp up the gret work on your blog as well. Ugandan GLBT People 'Let Us Live In Peace"
Where My Sistahs And Brothas At?